This month, I am determined to be on time and here we go. Exactly the last day of August. Today is also Teacher's Day, so Happy Teacher's Day to all them educators out there! I really do run out of ideas as to what to write in every monthly favourites post and I am restraining every part of myself from writing the typical oh how time flies! Even though it does. August was good, and I tried my upmost best to make some positive changes in my life. I started getting into brewing my own coffee in the mornings, and doing more strength workouts in the gym. I did not do so well in other goals of mine, such as waking up early in the mornings to read but hey, I am going to give it another shot in September. 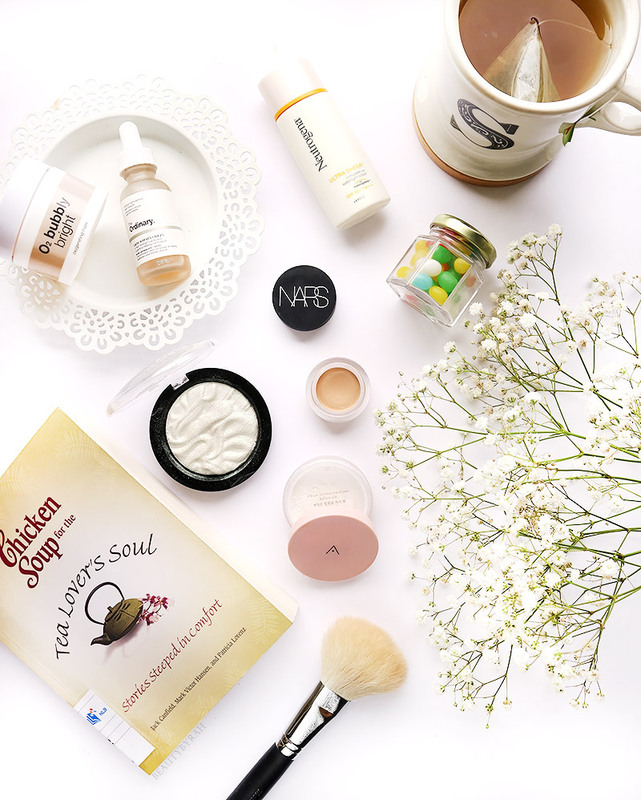 Other than life bits, here are some makeup and beauty products (and a book!) that I have been enjoying the past month! 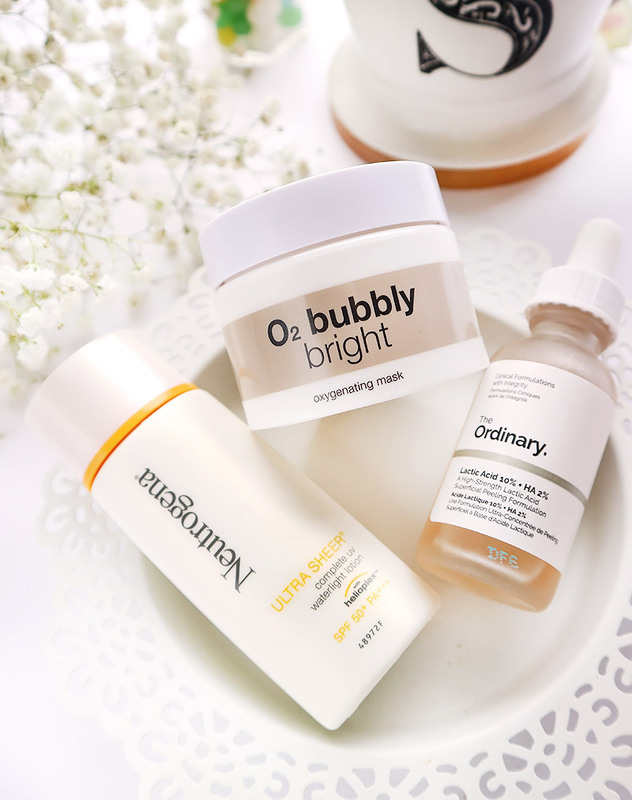 I was pretty excited by this as Althea Korea launched their first in house product! This lightweight setting powder is said to be made up of micro fine particles that helps give a silky finish to the skin by minimising the appearances of pores and fine lines. It is also infused with oil from the Althea flower's seeds. This little setting powder has been impressing me so far with its finely milled texture and oil controlling properties! I like that it is translucent as well, as it does not alter the shade of my base products nor does it give me an ashy finish after application. I especially love this under the eyes as it helps to set my concealer without emphasising the creases or texture. So far, so good. Best part? This is only SGD 6. 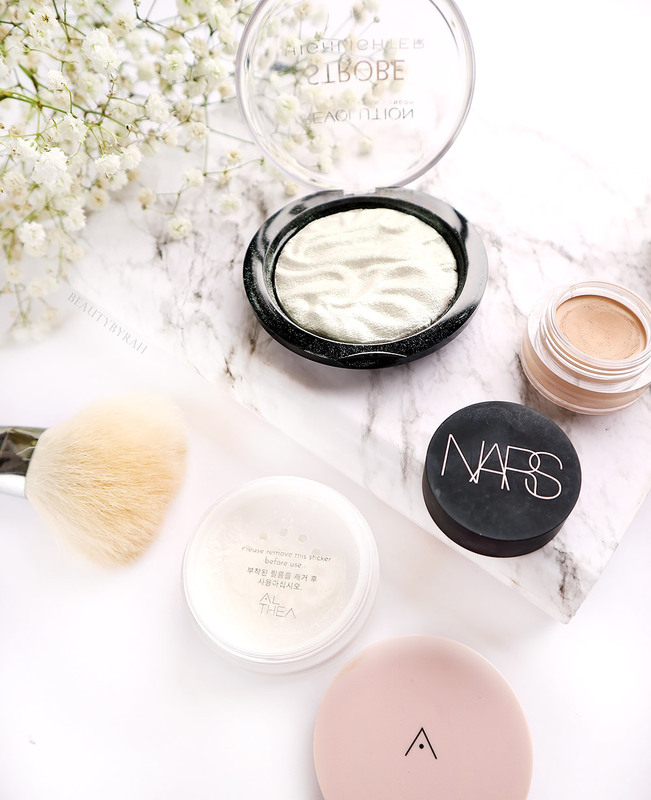 It does come with a fluffy little sponge which I foresee it being convenient for touch ups on the go, but I still do prefer using my own powder brush as that is just what I am used to. 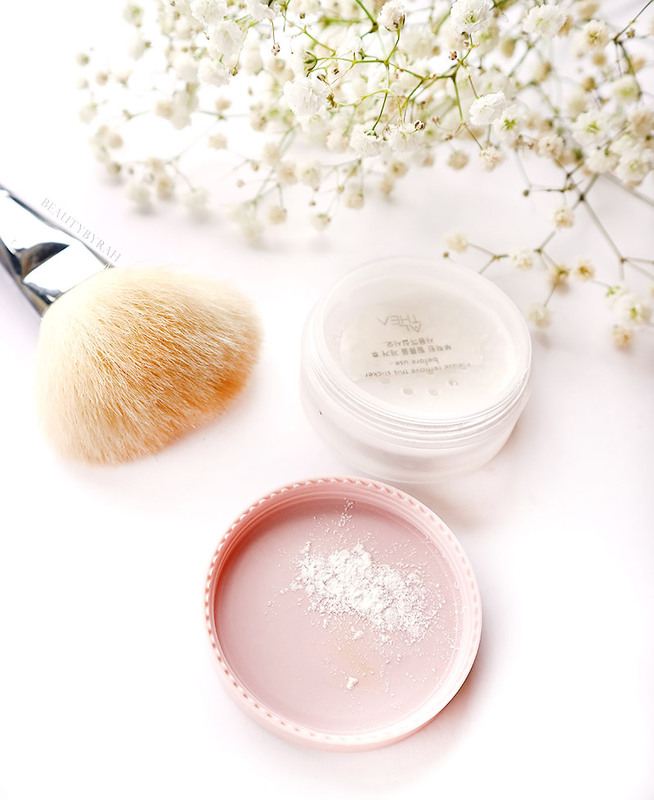 You can check out this powder on Althea Korea SG here. Ever since Kat Von D released the Alchemist Holographic Palette, let's just say I've been attracted by almost everything duochrome. I am adamant on not purchasing that palette as it is really expensive for 4 little highlighters in my opinion, so I started my search elsewhere. 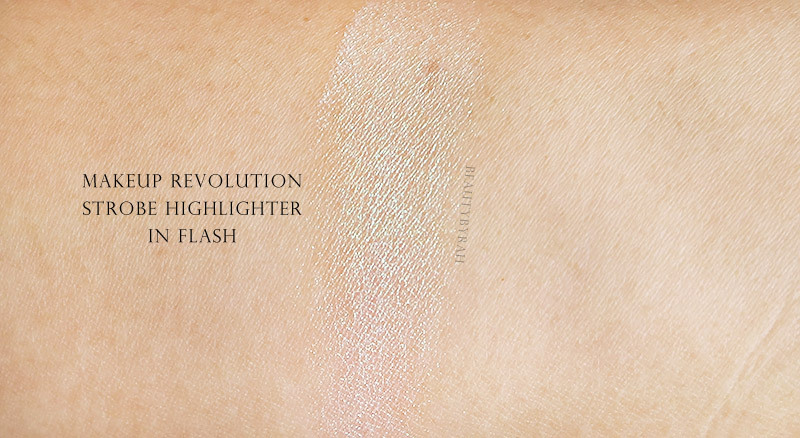 When I was in London browsing the aisle of Superdrug, this Makeup Revolution Strobe Highlighter caught my eye. This is in the shade Flash, which is a gorgeous green and white gold shift. SO LOVELY. I am so happy I bought it and even though it can be a little too much for work days (even though, let's be honest, you know I went to teach my kids with a green gold duo chrome glow), it is truly stunning. With a light hand, it can be worn on daily if you ask me. It does not contain any glitter chunks at all, so a glorious sheen is always achieved. And it was only £3!! They do ship to Singapore as well, you can check it out here. As my makeup routine have been pretty simple and quick recently (mostly due to sheer laziness), I do like concealers that quick and easy to blend. I really do enjoy this Nars concealer as it warms up really quickly and blends like a dream. It does come in a pot and could be off putting if you're bacterial and germ conscious, but considering that this is for personal use, I actually do like how convenient application can be when I all I need to do is dab my finger in and blend it under the eyes. This concealer does provide really good coverage (medium-full in my opinion), I can even skip the step of colour correcting sometimes as well. This lasts nicely under the eyes without much creasing and it has been my go to recently for a quick brightening of the undereye area. For reference, I have mine in the shade Custard. This retails for SGD 46 at Sephora. If you have been reading my posts for a while, you would know that I am a sucker for lightweight sunscreens as nothing is more off putting than thick, white and sticky (that's what she said, couldn't resist) sun protection. After running out of my holy grail Kicho Ultra Moisturising Sun Protection Cream, I opted for this as its name definitely called out to me. This UV lotion is really great if you hate the feeling of tacky sunscreen! 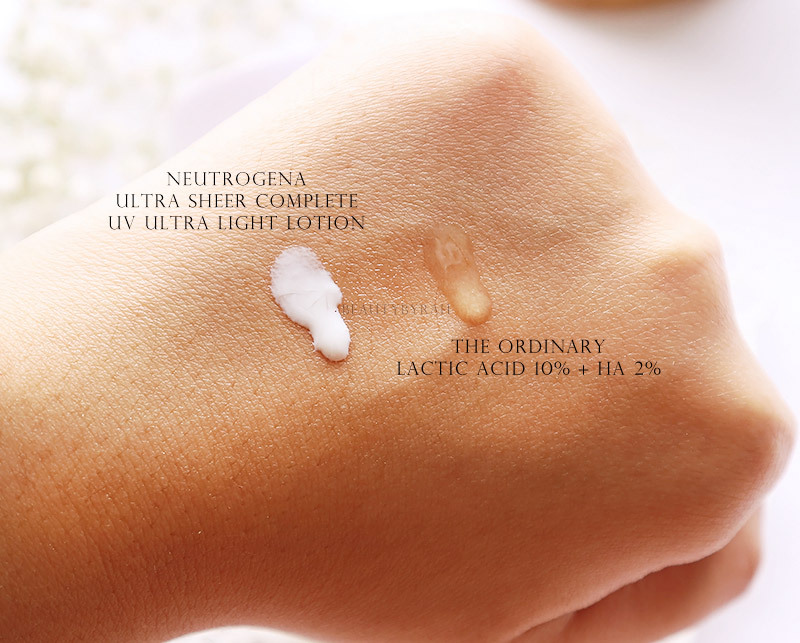 It is extremely lightweight and it blends so easily on the skin. I truly love it and I foresee myself repurchasing this until I find a better alternative. This is affordable as well, I saw it at SGD 20.90 at Guardian and Watsons! I have been on the chemical exfoliant train for a while and I do not foresee myself getting off anytime soon. Just to quickly recap, chemical exfoliation helps to remove the top layers of the skin by weakening the lipids that bond them together, which aids in removing dull and dead skin cells and revealing healthy skin cells. This product contains lactic acid, which is an AHA (Alpha Hydroxy Acids) that helps with skin rejuvenation. Lactic acid's structure is slightly more complex than glycolic acid and is gentler, making it more suitable for sensitive skin. I was a little apprehensive about the seemingly high concentration of Lactic Acid but I am glad to report back that my sensitive skin could handle it with no issue. It could also be that this product also contains Tasmanian Pepperberry which helps to reduce any inflammation or sensitivity caused by exfoliation. Whenever I use it at night, I do see that my skin does have a nice healthy glow when I wake up in the morning. 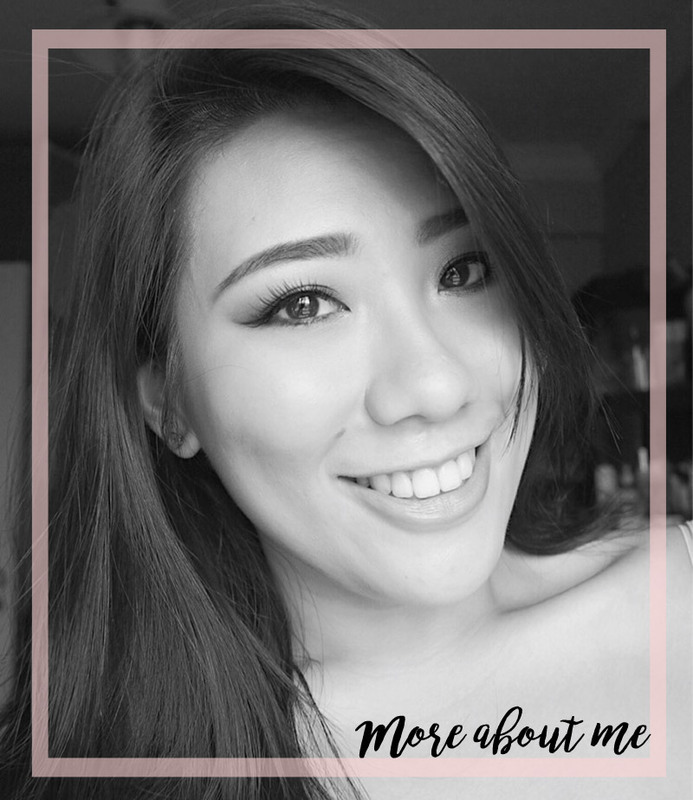 Within the first few uses, I also found that my tiny bumps under the skin reduced by a significant amount, reducing the texture that were bugging me, especially along the cheek area. So far, I love this and I probably would repurchase this as well. It's so affordable! I got mine off Beautybay for SGD 11.60! 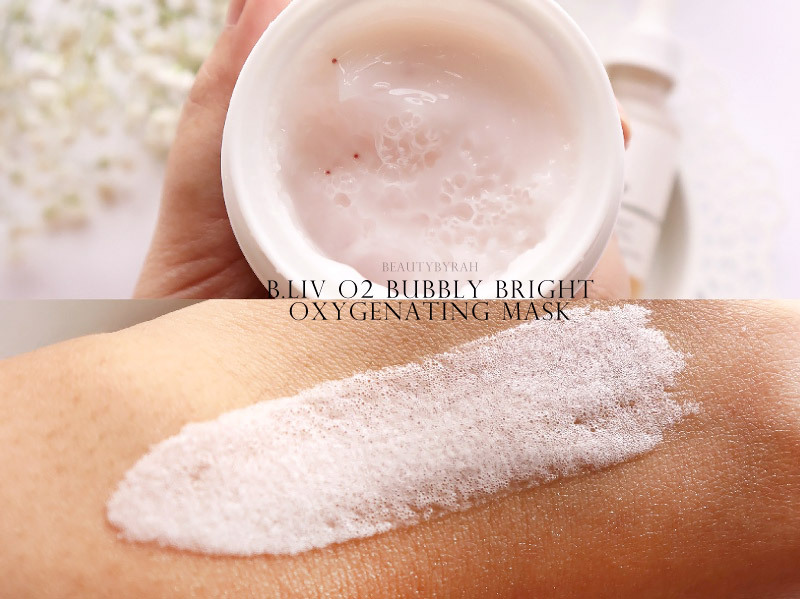 This is a purifying mask that combines oxygen bubble and rice powder to brighten and enliven complexion. It fizzes into a soft foam on the skin moments after application and this is said to be soaking up the impurities. There are also red soft beads that gently melt away during application, meant to exfoliate the skin. I do not feel much of the red beads at all, so it is definitely not abrasive in any way. I am pretty impressed by how this masks foams up almost immediately and it is a rather unique experience to feel it fizzing up on the skin. I like to use this mask before any major event or days I just want my skin to look glowy, because this mask really does aid in brightening up my complexion. I will use this the night before and wash it off 10 minutes after application, and I can see my skin looking a tad more fresh and bright. In my opinion, this is a nice alternative to a clay mask as sometimes, those feel slightly tight and uncomfortable on my face. Definitely one to try if you have sensitive or dry skin but want to eliminate the impurities embedded within the skin! You can read more about this mask here. Of course, I had to include a book! 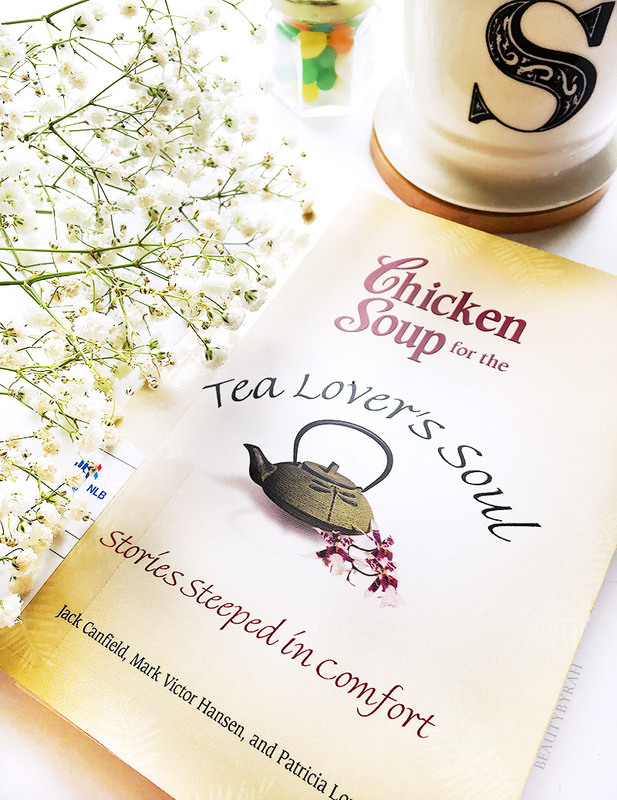 I have not read any book from the Chicken Soup for the Soul series, but this one particularly caught my eye as well, I love to drink tea. These bite-sized stories are super calming and easy to read, making it a great book for on the go whenever I am taking public transport. It just brightens up my day and makes me think more about human connection, acting as a reminder to put in more effort in my day to day interactions. Who knew that tea has such a wonderful ability to bring people together! I really regret not having high tea in London whenever I read this, but I definitely do suggest you picking it up if you're a tea fanatic. Currently, I am on the hunt for the coffee version! New month, new experiences, new goals and hopefully, new achievements! Hope your August went well. Are any of these items a favourite of yours too?